Out of all recent social media trends and tactics, social selling is one that fascinates me the most. Funnily, it might also be the most underrated tactic of all. 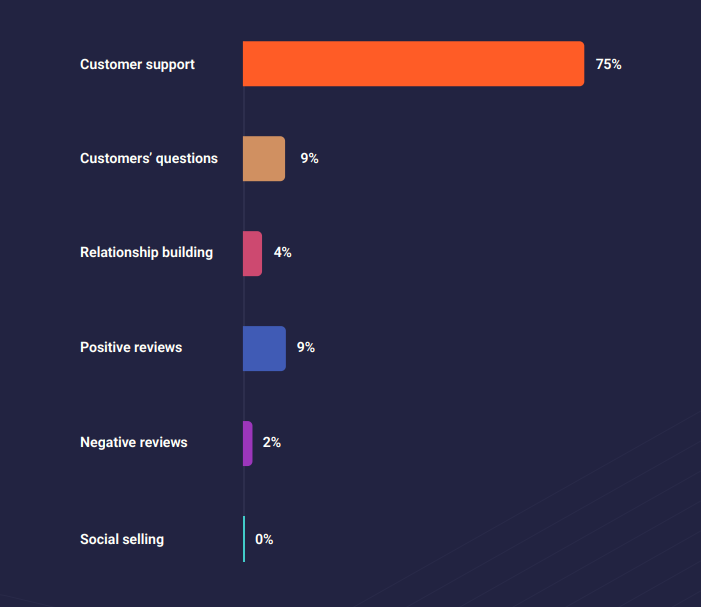 That’s why a few months ago, the Awario team and myself decided to do a little study to find out how brands are engaging with sales opportunities on social, and whether social selling has a positive ROI. In this article, I want to tell you about the Social Selling Study we did and share the most exciting takeaways. But before we get to that, let's address why we did this study in the first place, and why we believe social media has enormous potential for sales teams. What’s social selling and why does it work? Social selling is the process of leveraging social media to do lead generation, build meaningful relationships, and eventually, close sales. But, oftentimes, social media is not seen as a platform for generating leads and especially closing sales. If we turn to the classic way of describing consumer behavior and the sales funnel, social media marketing is typically used for raising awareness exclusively, letting other tactics step in on the later stages. However, I beg to differ. Social media is a genuine source of quality leads, and, in many cases, it even outperforms traditional ways to do sales. According to a survey by Sales for Life, companies which engage in social selling get a 119% higher ROI compared to traditional sales tactics. Social media is a true egalitarian platform - it allows anyone to communicate with anyone. This quality changes the audience’s perception of brands. People on social media have more agency than, say, in a TV commercial where you just get an advertisement randomly trying to make you do a certain thing. For that reason, they are more willing to act on this agency and make a purchasing decision. You no longer need to shout at your target audience at a giant megaphone to convince them that they need to buy your product. Social media lets you meet them halfway. People on social media are looking for authenticity. First and foremost, it’s a platform where you are sharing your daily life with friends, and an impersonal sales-y style of communication won’t make the cut here. For creative brands, it’s good news. If you manage to create a sincere image, attracting new customers will be a piece of cake for you. Social media encourages two-way communication - users can reach you as easily as you can reach them. Engagement provides your audience with an opportunity to connect with you whenever they want. The worst mistake you can make on social media is to simply ignore people who are talking about you. Taking all of this into consideration, we’ve decided to start employing social selling for our own benefit at Awario. We’ve also decided to conduct a little experiment to see how widely this strategy is used among big brands across different industries. Although social selling can be done in a number of ways (social media ads, contests and so on), we wanted to focus on straightforward pitching and selling a product or service on social media. We deliberately chose companies that would represent both B2B and B2C business models. 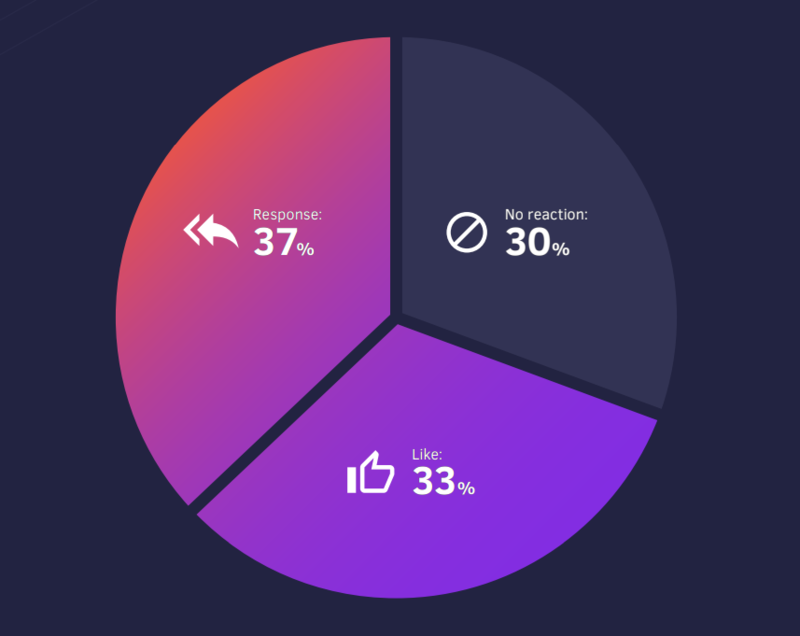 We used our own tool, Awario, to analyze their social media presence and find leads — social media posts which expressed buying intent. Overall, our team focused on two platforms: Twitter and Reddit. We analyzed the social data from June 1 to August 23, 2018 (a 12-week period). As you see, the most popular reason for interaction is customer support: some brands even create separate Twitter accounts for social customer care specifically. 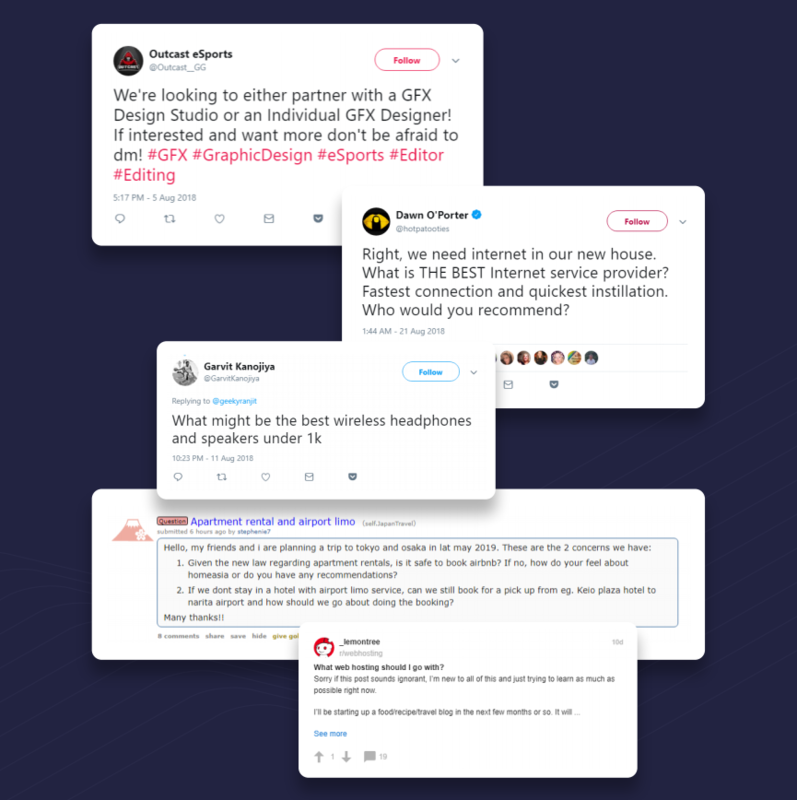 The only accounts that didn’t have customer support as the main “excuse” for social interactions were the accounts of freelance designers - they focused on relationship building much more. As you see, social selling wasn’t very common. In fact, we only managed to find two cases of social selling. Obviously, they weren’t results of consistent social selling strategies, rather an incidental outcome of social listening. Keeping that in mind, we went to Awario to see how many social selling opportunities were out there for these brands. Maybe the low number of social selling examples meant that there just weren’t enough prospects on social?.. We used our tool, Awario Leads, to find posts which expressed buying intent based on the description of services or products the brands offer. For example, for Internet service providers, the tool would find posts like “Can anyone recommend a good internet service provider?”. It’s also able to find complaints about a brand’s competitor since such posts might present an opportunity for making a sale as well. 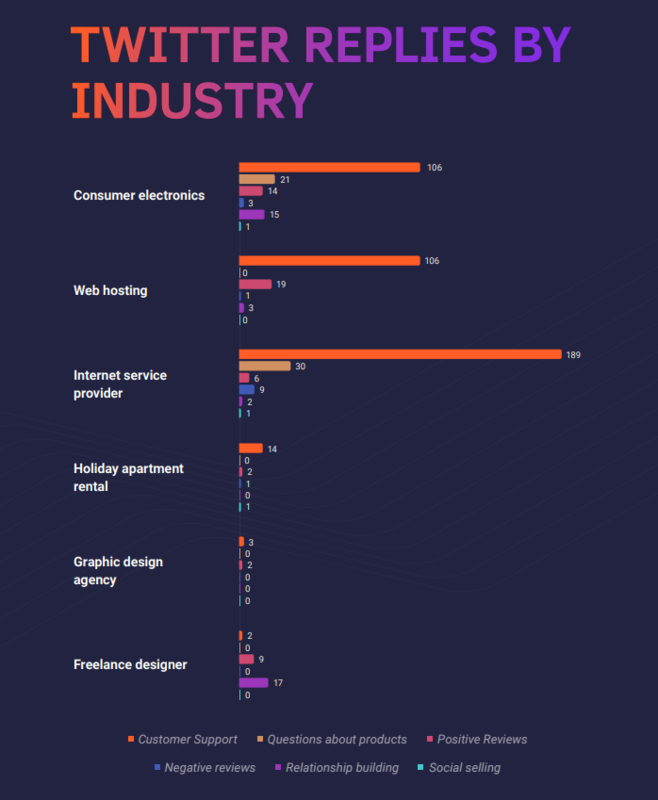 Interestingly, we found a decent number of targeted leads for each industry we analyzed. Some of the posts didn’t receive a single reply, which means that had brands actually replied with a pitch, they wouldn’t have any competition. Throughout the 12 weeks of the experiment, there wasn’t a single industry that wouldn’t generate at least 20 leads. Out of the industries we looked at, ISP yielded the most results - 160. We can see that depending on the industry, companies may be missing out on up to 160 leads every month. Moreover, by not engaging with these prospects, brands overlook an opportunity to aсcess an audience with similar interests and needs - the prospect’s followers. As I’ve mentioned before, since May 25th we have been engaged in a consistent social selling strategy ourselves. We’ve responded to sales prospects which Awario would find and, depending on the prospect, either sent the user to one of our social media accounts or shared a link to our site. At the end of the campaign, we sat down to analyze the results, and they weren’t disappointing. 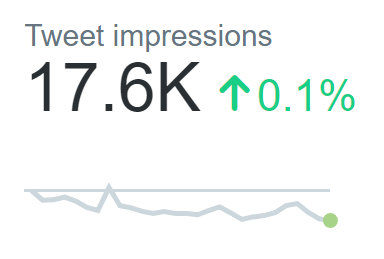 70% of our replies got a positive response from the sales prospects: 33% liked our tweets and 37% responded agreeing to check our offering out. The links that we shared got a 117% click rate - which means that the pitches reached not just one sales prospect but a wider audience as well: their followers and connections. Overall, we got over 17,000 impressions for our social selling tweets. Social selling outperforms traditional lead gen. It lets you interact with a prospect “on their territory” and gives you more information about them. It also gives you exposure to the prospect’s followers and connections, who see your post in the feeds as soon as the prospect engages with it. Social media is full of opportunities. Across the 6 industries we analyzed, we found an average of 66.7 leads throughout the 12-week timeframe. Social selling is easy. A consistent social selling strategy doesn’t take much time or effort. With the help of a social selling tool, you won’t spend more than an hour a day on your social selling efforts. Social selling is not mainstream yet. Overall, we found 92 leads which didn’t receive a single response. Which means that so far there’s not much competition for those who engage in it: you have a chance to be the first and only to engage with a prospect. The Internet is saturated with ineffective marketing messages aimed at everyone and no-one. Social selling gives your sales team a magical ability to find people who are actively looking for your product and reach out to them in a human and genuine manner. I truly believe that the days of cold calling and impersonal email marketing are gone, and the days of mutually beneficial human marketing are almost here. The pioneers can get all the benefits of social selling right now, and I urge you to be one of them. Check out the full Social Selling Report with all the findings and comprehensive analysis of the data.